This year, as the world turns to action to make the new global goals for sustainable development a reality, we’ve seen that girls and women have the power to drive progress for all the goals — from ending poverty to protecting our planet. When girls and women everywhere are safe, healthy, educated, and empowered, they can transform our communities and our world. And what’s one of the most important ways to make sure girls and women have the opportunity to thrive, no matter where they live? 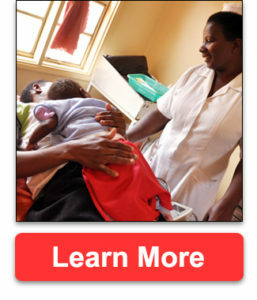 Access to lifesaving and life-changing family planning information, services, and supplies. Today, on World Population Day, the United Nations Foundation is renewing our commitment to Family Planning 2020 (FP2020) — a global movement that supports the rights of girls and women to decide, freely and for themselves, whether, when, and how many children they want to have. Learn more about FP2020’s mission to enable an additional 120 million girls and women in the world’s poorest countries to use modern forms of contraception by the year 2020. As we mark the halfway point of the FP2020 movement today, more people than ever before have access to family planning resources grounded in principles of rights and empowerment, but there are still populations left to reach — especially young people and adolescents, the poorest, those living in humanitarian settings, and other marginalized girls and women. And one thing is clear: We won’t reach the new global goals if we leave anyone behind. No matter where someone lives, she deserves the chance to plan her family and her future. Read my post on Global Connections to find out how FP2020 is committing to action for the hardest-to-reach girls and women now. By helping FP2020 open up possibilities for 120 million girls and women, we’re also helping the UN build a healthier and more equitable world for everyone.